This yoga Book gives complete information and effective techniques for playful poses like Cat, Flower, Airplane etc. 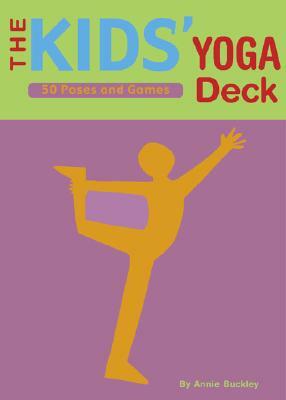 The Kids' Yoga Deck teaches your kids to bend, breath and stretch swiftly. It also engages bodies and minds to help youngsters build strength, flexibility, balance, and mental focus.